Box Dimensions (LxWxH)	15.5 x 8.2 x 7.7"
Spanning a versatile and long-reaching focal length range, the Canon EF-mount SP 150-600mm f/5-6.3 Di VC USD G2 from Tamron is a 4x zoom covering telephoto to super telephoto perspectives. Complementing the long reach is an optimized optical design that features three low dispersion (LD) glass elements to reduce chromatic aberrations and color fringing throughout the zoom range. eBAND and BBAR coatings have also been applied to reduce ghosting and flare when working in strong, backlit lighting conditions. 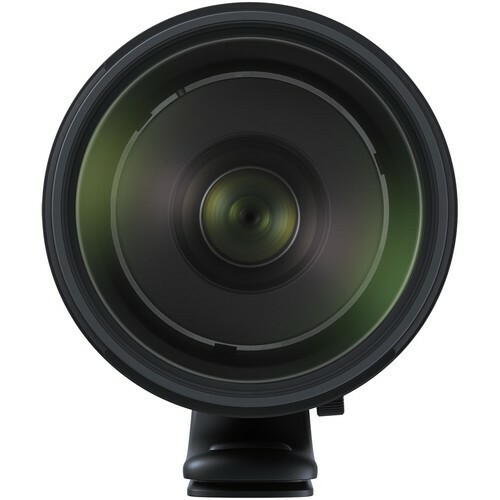 Beyond its optical attributes, the G2 version of this lens also incorporates a FLEX ZOOM LOCK mechanism to permit locking the zoom position at any focal length position to prevent accidental zoom extension. Conventional zoom lock is also featured to prevent barrel extension during transport. Suiting handheld shooting situations, Vibration Compensation (VC) is a 4.5-stop-effective image stabilization mechanism that helps to reduce the appearance of camera shake for sharper results when working with slower shutter speeds. 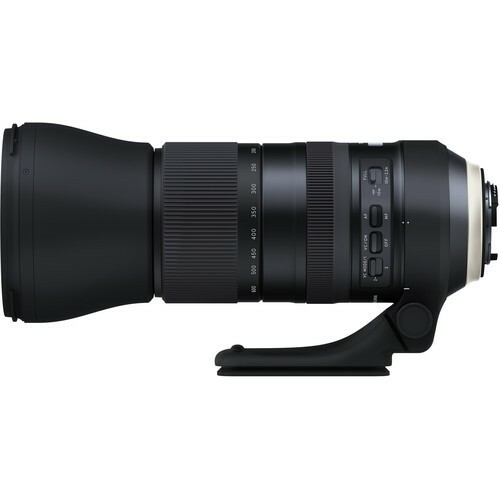 A ring-type Ultrasonic Silent Drive (USD) autofocus motor delivers notably quick and accurate focusing performance to suit working with fast-moving subjects, and full-time manual focus is also supported for fine-tuned control. Benefitting its use outdoors, the lens also features a moisture-resistant construction along with a fluorine-coated front element to guard against dirt, dust, moisture, and smudging from affecting image quality. The ergonomic and durable metal construction of the lens also incorporates textured focus and zoom rings, and a removable, rotating tripod collar with an Arca-type compatible foot is supplied to better enable shooting from tripods and monopods. 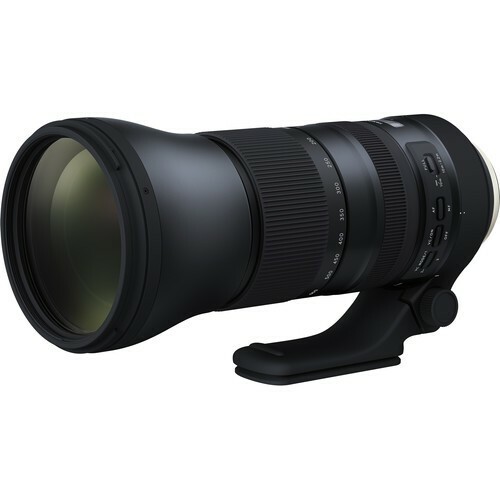 Spanning a versatile, long-reaching range, this tele to super-tele zoom is designed for full-frame Canon EF-mount cameras, and can also be used with APS-C models where it will provide a 240-960mm equivalent focal length range. Three low dispersion elements are incorporated to nearly eliminate both axial and transverse chromatic aberrations and color fringing for increased clarity and color fidelity throughout the zoom range. Both eBAND and BBAR coatings have been applied to suppress ghosting and lens flare for improved contrast when working in backlit conditions. VC image stabilization helps to minimize the appearance of camera shake by up to 4.5 stops for more effective handheld shooting in difficult lighting conditions. Three separate VC modes are also available to suit various styles of shooting: Mode 1 is a balanced setting for general use, and promotes both a stabilized viewfinder image and stabilized results; Mode 2 is designed exclusively for panning movements; and Mode 3 is optimized to stabilize only during capture without stabilizing the viewfinder image.